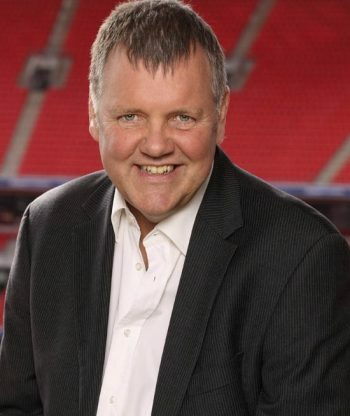 Since 1998 Clive has been one of the main football commentators for ITV. He has commentated on eleven Champions League finals, five FA Cup Finals and numerous World Cup and European Championship matches. He began his career in local radio in Nottingham before joining Liverpool’s Radio City in 1977. After succeeding Elton Welsby as sports editor, he began commentating in the late 1970s and early 1980s. He also covered Everton F.C.’s rise to prominence in the mid-1980s. Clive was on-air at the scene of the Heysel disaster during the 1985 European Cup Final, and he also broadcast during the aftermath of the Hillsborough disaster. Clive joined Granada Television in the late 1980s as a commentator on their Kick Off and Granada Soccer Night programmes. He joined the BBC at the time when they obtained highlights rights for the new Premier League in 1992. For four years he worked as a commentator on Match of the Day and Sportsnight, leaving the BBC in 1996. He returned to ITV when veteran football commentator Brian Moore was beginning to scale down his commitments. Over the next two years, Clive was frequently heard commentating on live matches for the ITV network.